After delays in obtaining grants and installing the fencing, on Saturday 14th Feb 2015, twenty eight young and old attended the family work party to complete the fencing and hedging in Elliker field so that the field can finally be stocked with cows and sheep. 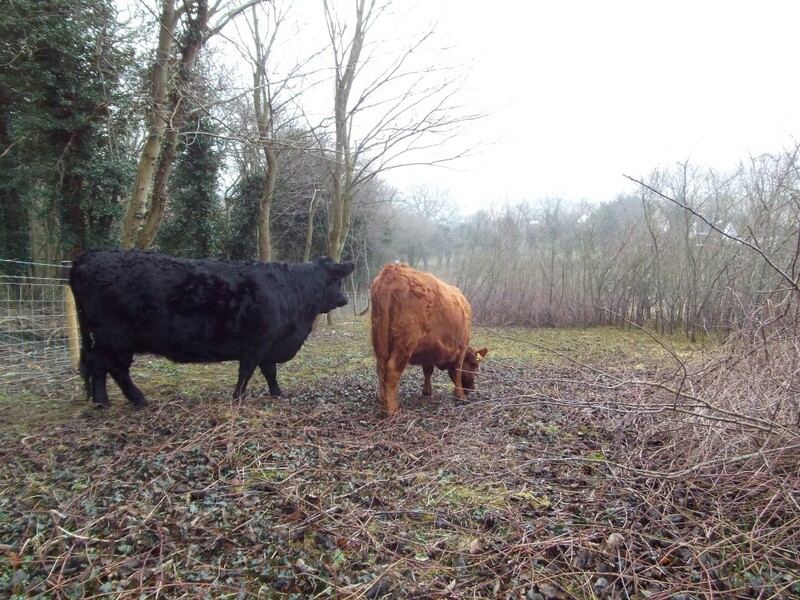 These animals will do their job of “conservation grazing” which is beneficial to many wild flowers, invertebrates and ground nesting birds by eating last year’s thick grassy sward. 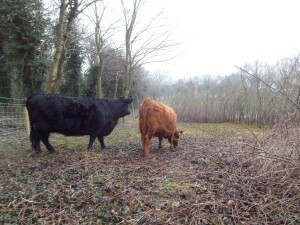 The animals will stay on the reserve untill late March when the Spring flowers start to appear. 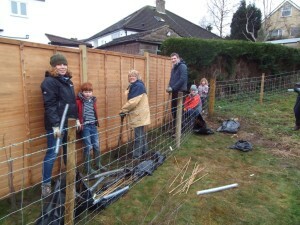 Enthusiasm was not in short supply…. 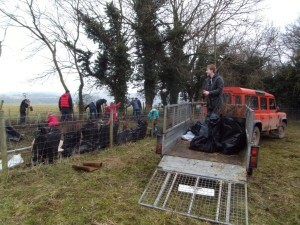 Frank Shire’s field was similarly treated by the youngsters planting a new hedge along the north-eastern edge of this reserve. 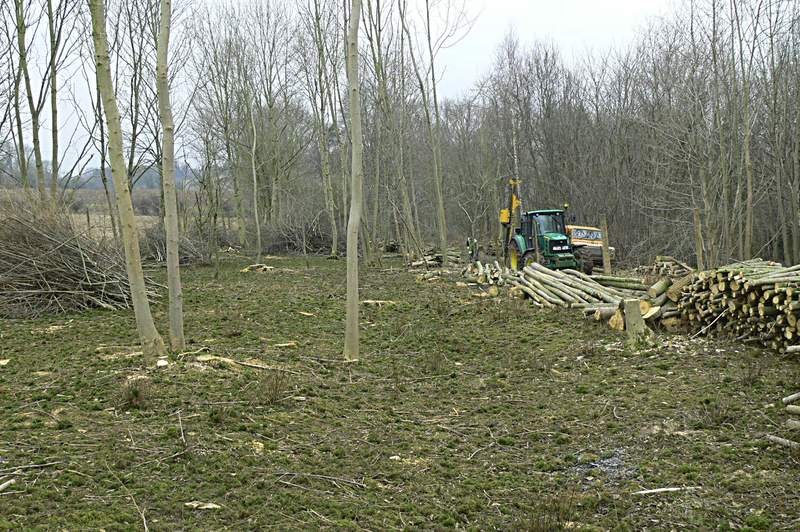 Half of Ox Close Wood was clear felled prior to its acquisition by the Trust in 1992. 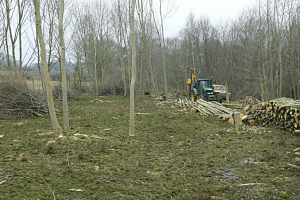 Much of the natural regeneration has been by Elm trees. 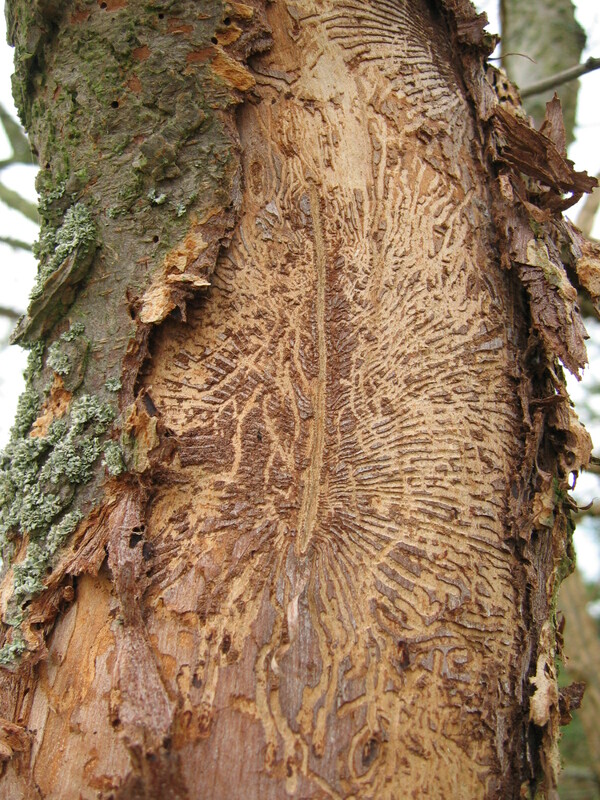 These trees are now of an age where they are becoming susceptible to Dutch Elm Disease which is a fungus carried by the Elm Bark Beetle. 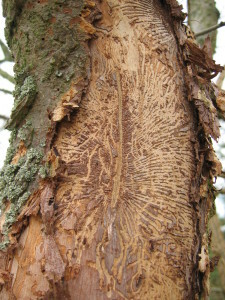 Evidence of the beetle, in the form of their larval feeding galleries, can readily be found under the bark of dead Elms. A walk round the wood now reveals that many of the Elm trees are beginning to show signs of the disease in the form of dead and dying leaves and branches. 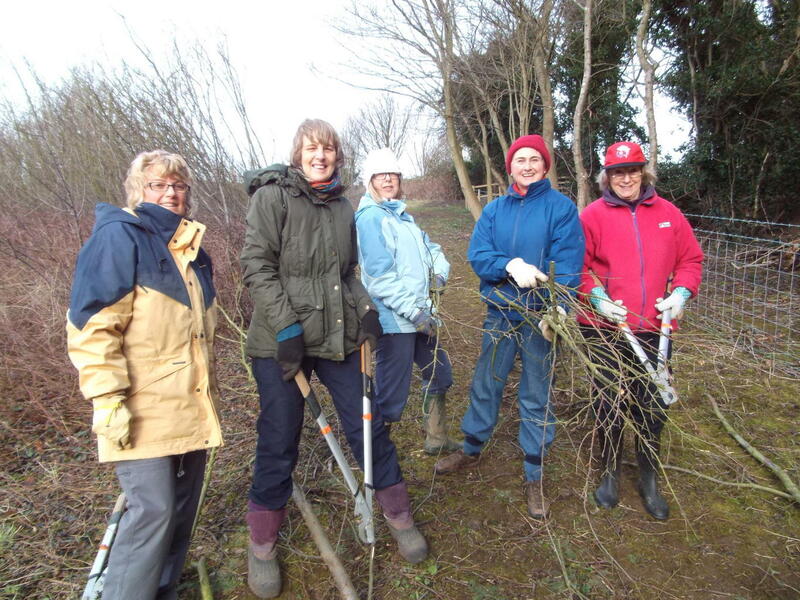 In order to combat the disease, this winter, in the South West corner of the wood, the Trust has been coppicing many of the elms including some that seem healthy to prevent the disease from killing the trees. 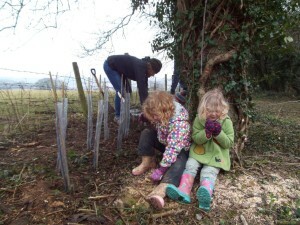 Trees alongside footpaths will also be felled to remove any danger from falling branches. 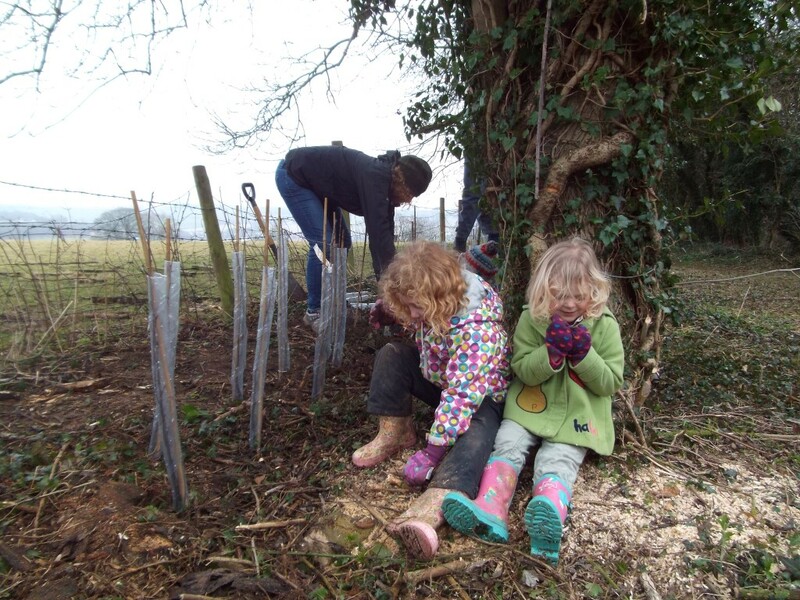 Coppicing in this way extends the life of trees and further benefits wild flowers and insects by opening up the canopy allowing sunlight to reach the ground. 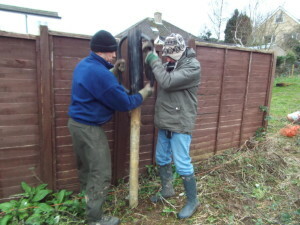 The area will be surrounded by a tall deer fence to prevent deer from eating the tasty young shoots that will grow from the coppiced stools. 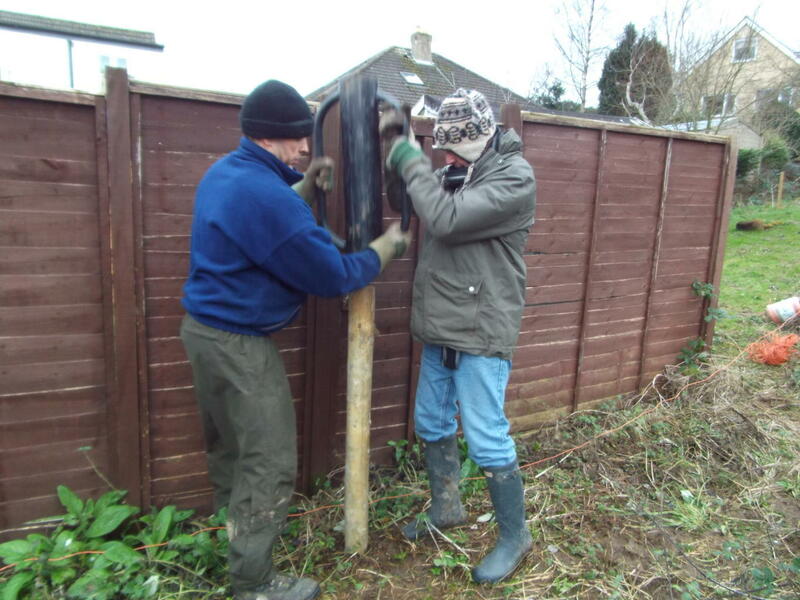 Part of the coppiced area in Ox Close with posts for the deer fence being knocked into the ground. The Elm is important locally as it is the foodplant of the White-letter Hairstreak butterfly which is an uncommon butterfly ranked 24th most widespread of Yorkshire’s 36 breeding butterfly species. Ox Close has a healthy population of this butterfly which is seen flying around the tops of the trees during July. Local Volunteers joined together in Elliker Field to clear scrub and continue erecting the stock proof fencing in preparation for conservation grazing with Trust member’s rare breed Soay and Hebridean sheep.